At either 10 a.m. or 2 p.m., come to the Nature Center at Lowe-Volk Park and enjoy an hour of nature exploration with Crawford Park District Naturalist Josh Dyer. Program topics will vary and may include a story, short hike, craft, or a visit from an animal. For pre-schoolers and their parents. Come dressed for the weather. Morning and afternoon programs will be similar, just choose the time that best fits your schedule. Lowe-Volk Park is three miles north of U.S. 30. For more information contact the Crawford Park District office at 419-683-9000. Look for information on other programs at www.crawfordparkdistrict.org or by visiting the park district’s Facebook page. What’s that smell? Plants and animals both leave different signs or smells behind as a calling card. The Crawford Park District invites homeschoolers to use their olfactory system to follow different paths in the woods. Classes are limited to 20 students per session. This program is Thursday, Dec. 7 at 10 a.m. or 2 p.m. at Lowe-Volk Park. Call the Crawford Park District to reserve a spot for your 5-12 year old by Dec. 6. Call 419-683-9000 for information. Each winter brings with it a new set of challenges for all life forms. Food supplies vary from year to year and of course the weather patterns play a key role in determining the makeup of winter bird communities. At 9 a.m. Saturday, at Sears Woods, 1486 Mount Zion Road, meet Crawford Park District Naturalist Warren Uxley at Sears Woods State Nature Preserve and find out what this winter will bring. For more information, call 419-683-9000. On Sunday, Dec. 10, from 1-3 p.m, at Lowe-Volk Park, learn how to make a pinecone wreath. The Friends of the Crawford Park District will provide the pine cones, a 12” wire form, ribbon, and miscellaneous items from nature. 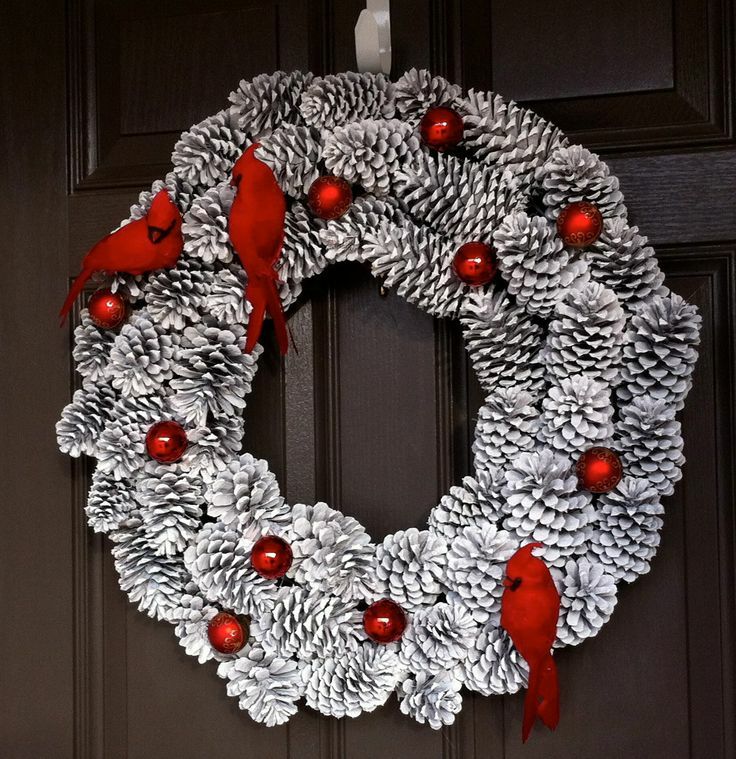 If you have other items you wish to add to your wreath, bring those with you. Call the Crawford Park District by Dec. 8 to reserve your spot. This program is for anyone age 8 ane older. Call 419-683-9000 for information. On Thursday, Dec. 14 at 6 p.m. meet the Crawford Park District’s new wildlife ambassador, Crypto the eastern hellbender, who will make its programming debut. Join Naturalist Josh Dyer at Lowe-Volk Park to learn about Hellbenders in Ohio and what researchers are doing to conserve their populations and habitats to keep them from becoming extinct. A short program will be followed by a “meet and greet” with Crypto and some other salamander residents from the Nature Center. Fun for all ages. Call 419-683-9000 for information.